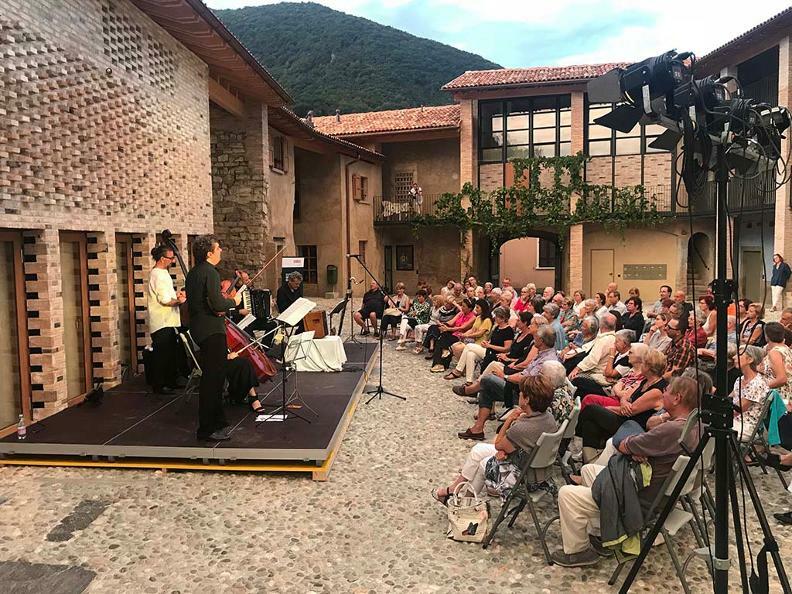 The fortieth anniversary of Music in Mendrisiotto is flanked by another happy anniversary: the tenth anniversary of the summer festival "Suoni d'Acqua", which in this time has filled some evocative places in the Muggio Valley with music, with a growing and passionate participation. 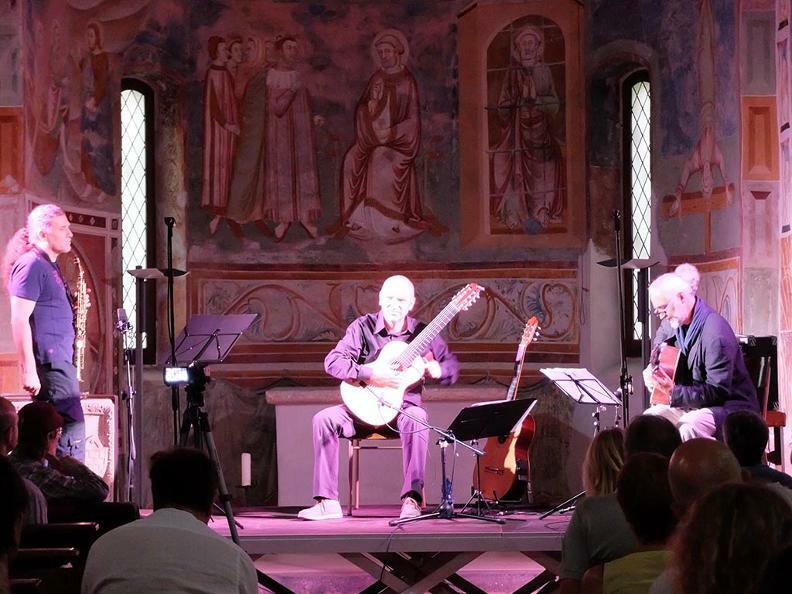 In recent years, Suoni d'Acqua has brought to these beautiful places of nature, a large number of musicians "imaginative", who, beyond gender belongings, love to walk through forms of spontaneous creativity, moments of improvisation, travel in geography in search of new inspirations and create new music, in search of a new and personal form of expression. The event has become a "laboratory" of new meetings that have spontaneously generated new projects. 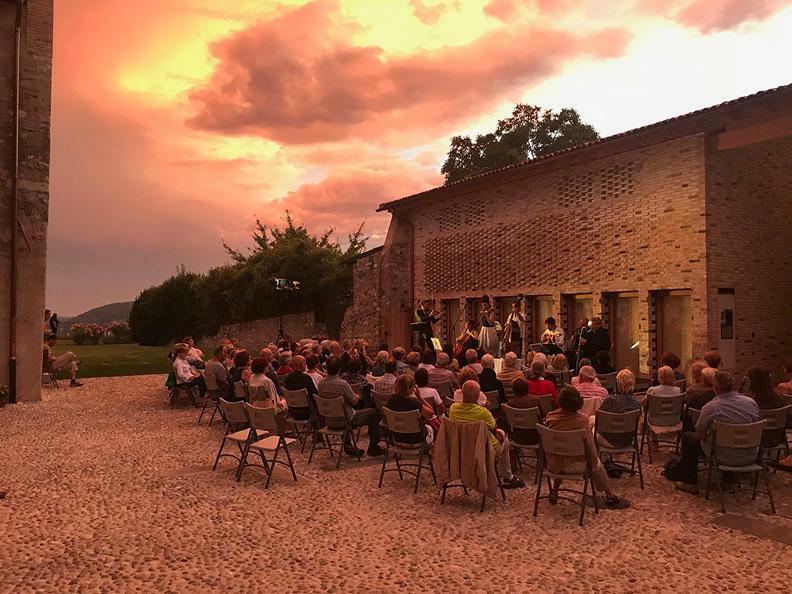 During these ten years, Suoni d'Acqua has welcomed many musicians of international calibre in some suggestive places of the Muggio Valley (Cabbio, Castel San Pietro, Monte Sagno, Scudelatte...), with the intention of combining the naturalistic and acoustic characteristics of the place with the typology of the proposed music. Furthermore, Cabbio's appointment has been enriched for some years by a pre-concert meeting-conference on various themes held by the internationally renowned Swiss musicologist Marcello Sorce Keller and by the musician and conductor of RSI Claudio Farinone.